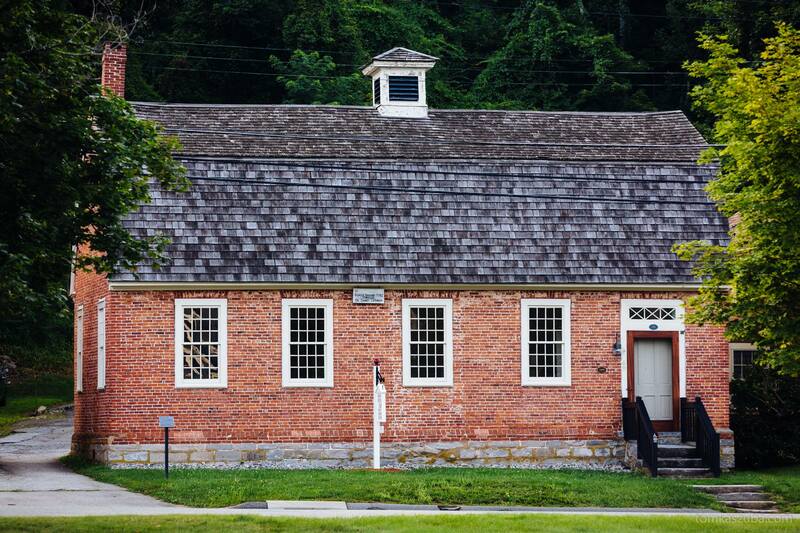 The Norwich Heritage and Regional Visitors Center is located in the 1783 Dr. Daniel Lathrop Schoolhouse on the historic Norwichtown Green. Our mission is to inform residents and visitors about places of interest in the region and about Norwich’s rich heritage through exhibits, presentations and activities. The Center serves as a gateway into the City of Norwich where visitors can learn about our numerous cultural sites and various local businesses. Walk Norwich self-guided trail Uncas Leap Trail and Benedict Arnold Trail brochures are available at the Center. 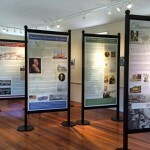 On permanent display in the Center is the “Discover Norwich” exhibit, which is a 10-panel exhibit encompassing themes in Norwich’s history from the 17th to the 20th century. The panels have interpretive text in addition to historical images and maps of the specific eras. 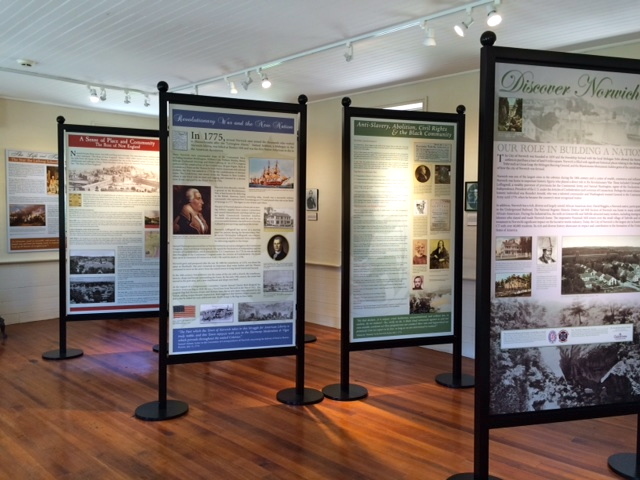 The “Discover Norwich” exhibit will give visitors and locals an overview of Norwich’s rich history. The Center is available for school groups, non-profits, and businesses to rent out for meetings, events or activities at a nominal fee. Foster a warm and positive environment in the Center. Provides tourist information to visitors and answer questions. Pleasantly greets guests and directs them to desired locations. Time Commitment: Volunteers will commit to at least one three-hour shift per week > either 11am – 2pm or 2pm – 5pm Thursday-Sunday.